If you’re someone who travels a lot for work (or pleasure), then this suitcase is a definite must-have! While it may look like an ordinary rolly bag at first glance, it’s anything but average. 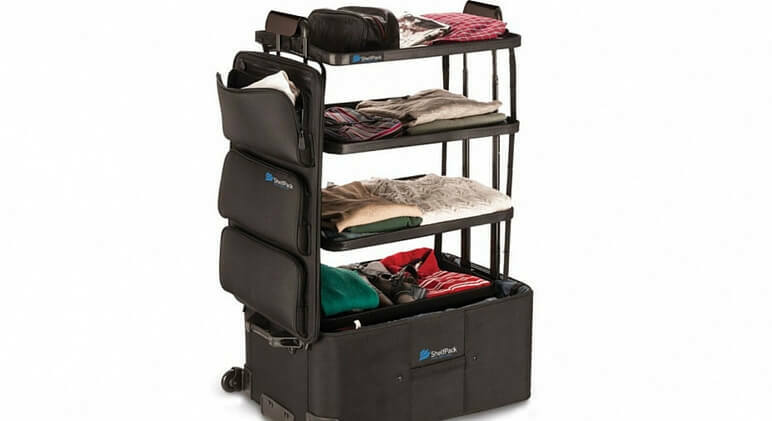 The ShelfPack is the same size as a regular suitcase. With a price tag of $349, it comes equipped with four built-in shelves and three outer pocket compartments that are perfect for storing your toiletries. If you’re interested in getting one of these suitcases for your travels, check out the official ShelfPack website!